Remember the boy who trended online after photos of his talented work went viral. The boy identified as Umar Maizaki from Gombe state - designed and constructed this NNPC fuel tanker model by using locally sourced materials. The boy reportedly constructed the tanker model all by himself. The pictures were shared online in order to get the attention of the state governor and now it has happened for him. The boy has been offered scholarship from secondary school to university level - all thanks to Gombe state government. Gombe State Commissioner for Youth, Malam Farouq Yarma, recently hosted Umar in his office to tell him about the scholarship. 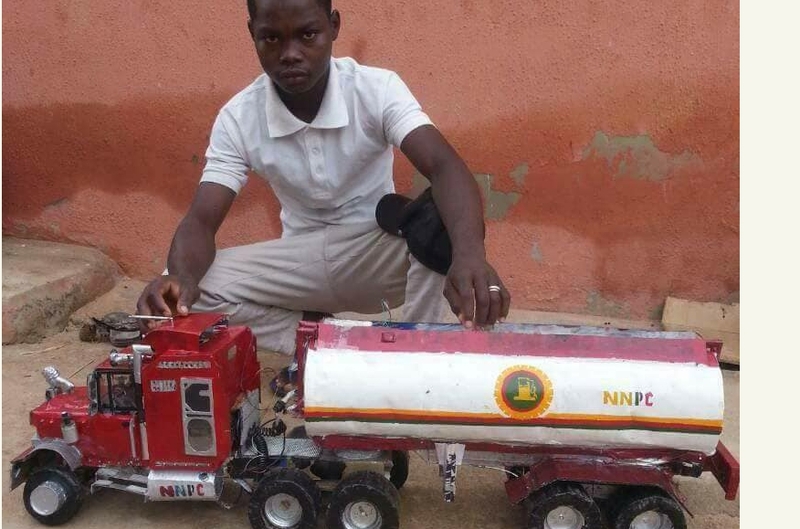 Umar's design project has also been funded by Gombe state government in order for him to maximize his talent.